It's been a good year for new products in the fire service. From rescue tools to speaker microphones, and LED lights to command boards, there's been a number of highlights in 2011. We all know how important firefighter accountability is on the fireground, especially since 9/11. Raytheon has developed a new fireground accountability system that is second to none. Incorporates maps and building layouts. Captures and displays Mayday alerts, facilitates roll calls. The FDNY has been testing these units for several months and has finally put them in service. If you are a large urban department or even a smaller suburban fire department with concerns about your firefighter accountability program, then this product is something that you should add to your chief’s vehicles or command unit. If you are in the process of looking at your communication needs and are looking at the new Motorola APX line of radios, then you also might want to consider this new speaker mic. This new unit provides 50 percent more audio than previous models, something that is warranted on a noisy fireground environment. Another great feature is the larger controls for easier access while wearing gloves. The larger controls for volume and emergency button are a great asset while operating in any environment. The new line of E-Draulic Rescue Tools from Hurst is really a game changer for the fire and EMS service. These new lightweight and powerful tools enable emergency service workers to perform vehicle extrication work with smaller lightweight tools that provide the same power as the traditional Hurst equipment. The tools operate on a battery charge and if you need power for extended operations, you can plug any of the tools into a 110v electrical outlet that is readily available on your rescue vehicle. Several types of tools are available in spreaders, cutting and combination tools. Spreading forces are up to 25,400 lbs. and weights are from 37-52 lbs., depending on the toll used. They are definitely worth taking a look at to supplement your current inventory or if you need to buy a new system. These new lightheads are compact, bright, and are available with 23 different built-in flash patterns that can be synchronized to flash in the same pattern, flash in a sliding progression, or in opposite sequence of each other. 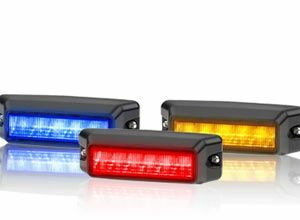 These new lights are available in 6,12, or 18-LED versions with Amber, Blue, Red and White LEDs and feature Federal Signal's SpectraLux multi-color LED Capability. To boot they come with a five year warranty as well. These are really impressive when viewed close as well as from a distance. While Fire Research has numerous products to list in this category, their new LED Scene lights are probably the brightest around. Their new Spectra Model is a standout if you are in the process of speccing out a new apparatus of any type and would like to include these lights on your vehicle. Spectra LED lampheads output an impressive 20,000 lumens of super bright white light making it the brightest LED scene light available. The advanced lens design generates a uniform flood and spot combination light pattern. This light pattern provides enhanced work area visibility as well as illuminates objects at a farther distance. The Spectra lamphead is available in a surface mount configuration. The slim body design keeps the lamphead closer to the vehicle. Spectra can be used with all FRC telescopic poles, tripods, non-telescopic mounts, and brow mounts. There are high quality products, and can take the abuse they will inevitably encounter on the fireground and keep operating well.